Late Bar: The Daily Duranie Holiday Office Party! Has everyone gotten their travel arrangements together for Las Vegas? If you happen to be arriving the day before the big show at The Cosmopolitan, we might have just the right answer for your evening! Our friend Jason works at the Hard Rock Cafe in Vegas, and was willing to put together a fabulous meet-up for us. 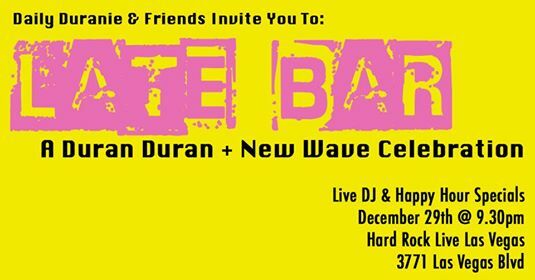 On December 29th at Hard Rock Live at the Hard Rock Cafe on Vegas Strip (across from Monte Carlo) , we are going to party the night away in style, complete with a soundtrack provided by Duran Duran and other New Wave along with Happy hour drink specials. It is going to be a late start – at 9:30 pm – that way those who are arriving closer to evening time have a chance to settle in before they get out and enjoy our own special edition of Late Bar. Hard Rock Live also has a comedy show happening at 8pm that night, and admission is FREE to Daily Duranie followers who want to attend. Just RSVP to us at dailyduranie@gmail.com and we will get you on the guest list! We have an event page set up on Facebook, and in the details I have the end time as 12:30am – truth be told that Facebook insists on an end time, so that seemed like a good one. Otherwise, this could be an all-nighter with Amanda and I reaching up for the sunrise before we call it done! We have given this the tagline of our holiday office party because it is unusual that Amanda and I are actually in the same state, much less are able to celebrate the holidays together! I can assure you – we will be making up for lost time that night. Come hang out with us, be social, make new friends, and create plenty of memories to bring in 2018! Hope to see as many of you as possible that night – it will be a great warm up for the following evening! 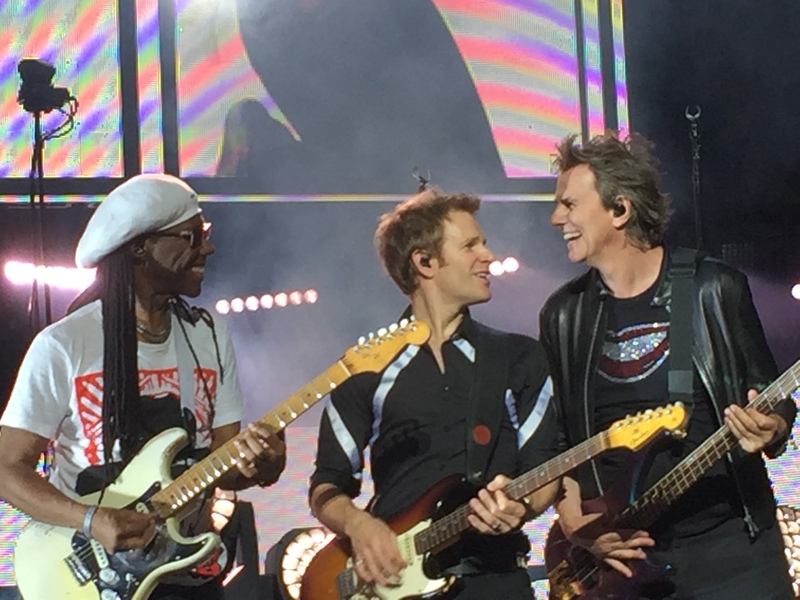 Duran Duran in Vegas: Show Commentary! It is time for another v-log from yours truly and my partner-in-crime about yesterday’s Duran Duran show in Las Vegas. We figured that it would go faster to do a video blog on than a written one. It may even be more entertaining! This v-log ended up being two videos due to unforeseen technical difficulties or really because Rhonda’s computer went into sleep mode. During these two little (don’t know why I said little…they are lengthy), we discuss Dom Brown’s stage presence, John Taylor’s fashion choices (go figure! ), the good and bad with the Mandalay Bay Events Center as a venue, the awesomeness of our meet-up, why Duran Duran should never be done and more! One of the things I like best about being part of a fandom is the people. Of course, not everyone in a fan community is cool. Certainly, not everyone is happy or excited to see us. For the most part, though, other fans are the best! This past week gave us an opportunity to see and meet lots of great people, both at shows and at our meet ups. Duran events bring people together from all over the world. Look at us. We don’t live anywhere near each other yet…here we are. A funny moment happened both times when we crossed the border to and from Canada. The border officer would ask how we know each other since one of us lives in Wisconsin and the other in California. We would explain how we travel to go see Duran Duran. Then, we would be allowed in without question. Apparently, that is too weird to make up! As you all know, we had 3 meet ups on this first leg (both Chicago shows and Toronto). Each of them had their challenges but we felt all were successful. The challenge in Chicago was obvious. 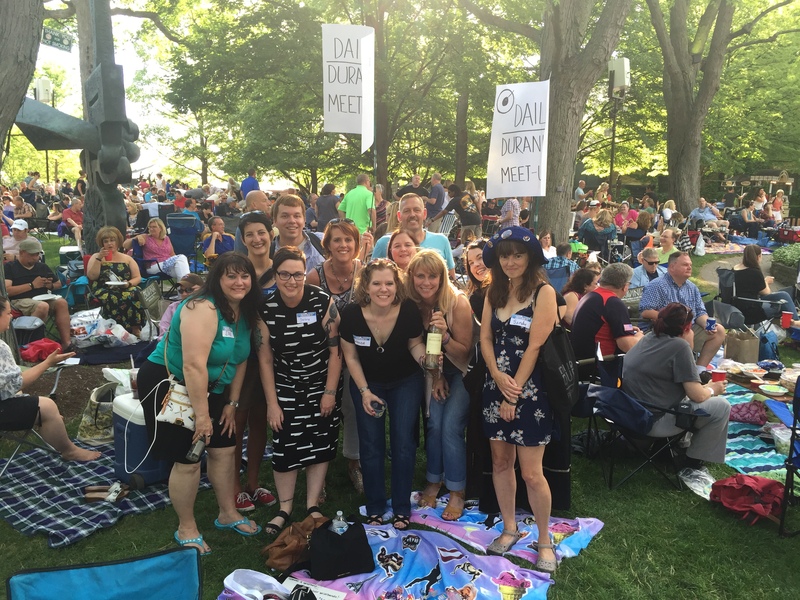 We held the meet ups there on the Ravinia grounds. We had to claim some space on the lawn where others were trying to set up dinners, picnics, chairs, etc. for the duration of the evening, which meant being smushed at best. Then, somehow, we had to try and explain to people exactly where we were, which wasn’t easy. We tried to have posters to advertise our location but…we had to hold them one night and had a table the next night, which weren’t ideal. On top of that, the venue is pretty tough to get to as it is located inside of neighborhood, making travel in and out challenging. Despite any and all difficulties, we had great turn-outs! I loved that we had lots of people from other events that we have hosted as well as new people! For Toronto’s meet up, we met at the local Hard Rock Cafe. Traffic again was a serious issue. It was hard to get to the restaurant and super hard to get to the venue afterwards. That said, we had quite an international crowd for that meet up. A few of us were from the States, one person from Canada, one person from Germany and a couple from the UK. We had actually met the woman from Germany before. Where? In Birmingham! We sat next to each other at the Birmingham show in December of 2011. For Duranies, the world is a small place! 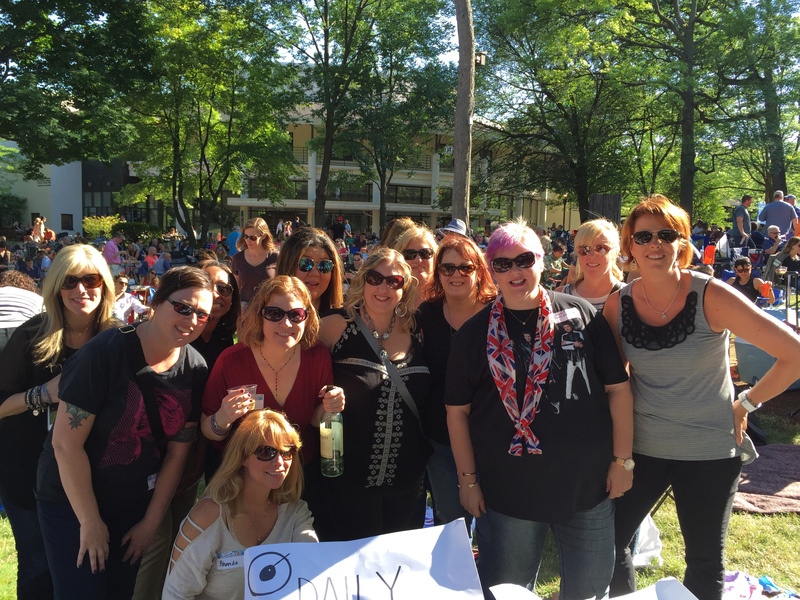 Seeing Duranies meet, get to know each other, and become friends is one of the absolute best things about organizing fan events. It is the biggest reason why we do them as we know that fans who are happy with other fans stay in the fandom. They become lifelong fans who don’t and can’t walk away. Seeing people go to shows together now who met at a meet up or a convention is such a gift. We feel lucky to be part of their friendship. Most of the time that is all we need to keep going. Yet, this time, we had people do more to acknowledge us. One of our friends told us how we helped to bring people into her life that she is so thankful for, which caused both of us to tear us a little. Then, one of our new friends in Toronto brought us gifts to thank us for what we do here! The idea of someone giving us anything blew me away but the gift itself really touched me. On top of the heartfelt card, we got exactly what we needed after the tour to pamper ourselves as well as what was needed at that moment! Vodka tonics! 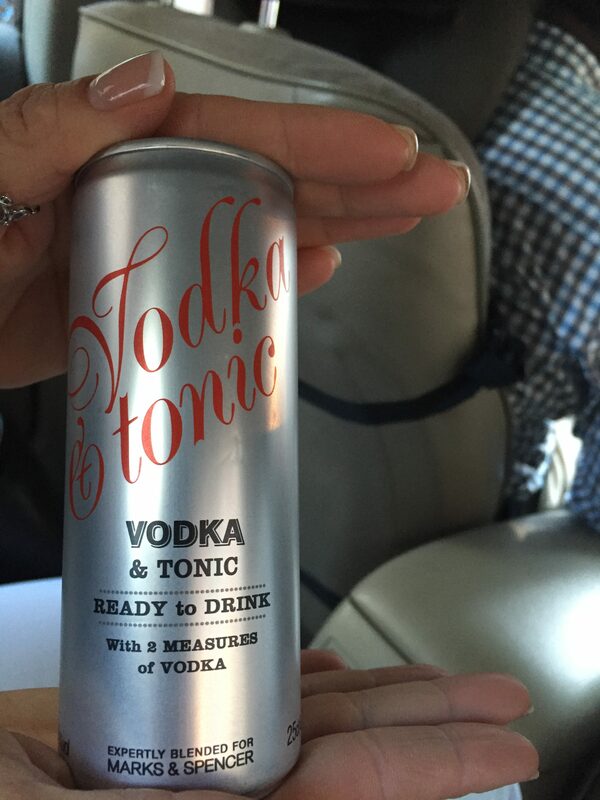 Vodka tonic in a can! These meet ups and the people who attended will keep me going for sure. They show me that what we do matters. We have one more meet up planned for this summer tour, which is in Vegas. There is still plenty of time to RSVP if you want to join us; details can be found here. Hope to see many of you there! We have one week before we get to see Duran Duran live in concert at Ravinia in Chicago!! In the middle of April and May, I didn’t know if I would make it to June, forget about July. Here we are now. Tour time is around the corner, approaching quickly! Over the years, Rhonda and I have developed a number of touring traditions. In the last five years or so, one of the biggest traditions is to organize meet-ups before shows. In 2011, we held a party in London. During the summer of 2012, we had meet-ups before each of the four shows we attended. That was tough. We felt like we were literally running from one place to another, from one event from another. We were traveling daily to each destination and instead of being able to take our time, we couldn’t. We had to be responsible. Yes, we took the task on ourselves because we know how important meet-ups can be. They are great for all of the fans in attendance who get to meet or see each other! At each one I have hosted or attended, I witness the same things. Fans share stories and pictures. New pictures are taken. Excitement increases. This, of course, translates to more energy at the show, which has got to feed the band’s energy. The example we always give is the Durham show in the summer of 2012. Of all the shows we saw that summer, it was by far the best. We can’t help but to think that the large turnout for the pre-show meet-up was part of the reason. By the end of those summer shows, I was tired, though. I truly do like and feel VERY comfortable organizing events (I’m a teacher, after all. I organize lessons and classrooms everyday. I’m also a political organizer, which means setting up and running campaign activities. Organizing is in my blood.) That said, these meet-ups are work. Someone has to contact venues and communicate with them. Someone has to put up the event pages on Facebook. Someone has to answer questions from people attending. Then, sometimes, there is more to it. For example, this time around, we will need to create some sort of sign for the Chicago meet-ups. 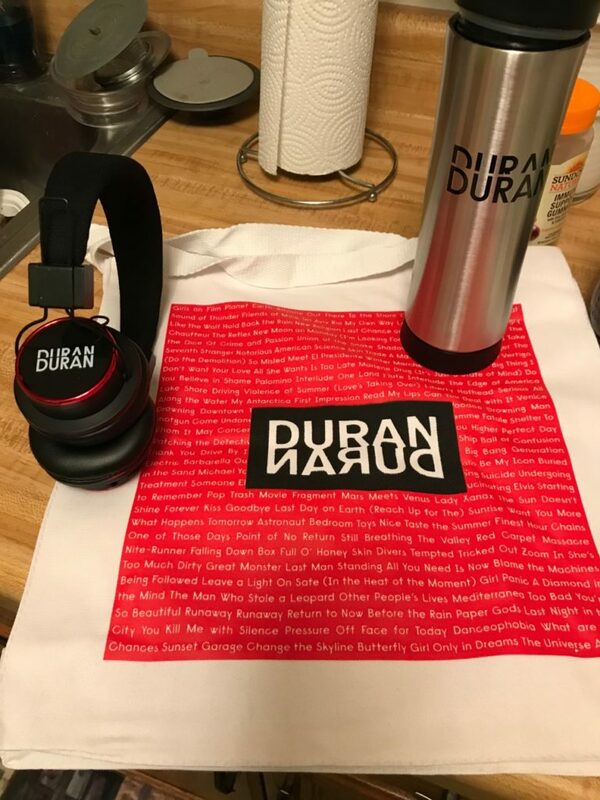 We have raffles planned with Duran merch!! There are details that need to be taken care of. Plus, it means that we can’t get there whenever we want. We have to arrive in time to set things up and we have to be “on” during the event. My point is that during the summer of 2012, it was exhausting to always have to be responsible and working. I didn’t have as much fun as I wanted. This time, then, we decided to find a balance. We only planned meet-ups in places that we won’t be traveling to on the day of the show. Our travel will be more relaxing this way. We won’t have to worry about arriving at some special time. This means that half of our shows together will have meet-ups and half won’t. Yes, we recognize that meet-ups are great fun and enhance the show. We also appreciate the need for fans to meet each other to develop and reinforce community spirit. We want to honor that. Yet, we also owe it to ourselves to be able to relax some and just have fun. So, what does all of this mean? It means that we will be working as event coordinators or whatever you want to call us to ensure that the meet-ups in Chicago (both nights), Toronto and Vegas will be great for all those attending. When we are not working, we will be fans just the rest of you. One aspect of these meet-ups that we are particularly excited about is our brand new wristbands! We will have a few of the old ones (the ones that John and Dom have!!) for sale as well as metallic silver and glow-in-the-dark purple ones! The proceeds to these sales will be to go to the convention we are planning in Chicago for the weekend of August 11th (around Duran Duran Appreciation Day) in 2017. Hope to see you all on the road soon! The future is, indeed, still tomorrow. Yet, that doesn’t stop me and my partner-in-crime from thinking about the future and to dream big. After all, dreams are free or so we have heard. 😉 Yesterday, I encouraged every Duran fan out there to embrace the current status of Duran Duran, musically, and activity wise. This present album cycle is far from done. In fact, just this past week, Simon discussed Duran Duran’s return to the US in the summer for more tour dates as part of the latest Katy Kafe (highlights discussed here). This prompted Rhonda and I to think about one significant aspect of touring for us and that is the meet up! If you have been reading for awhile, you know that we often like to set up meet ups before shows we attend when we can. 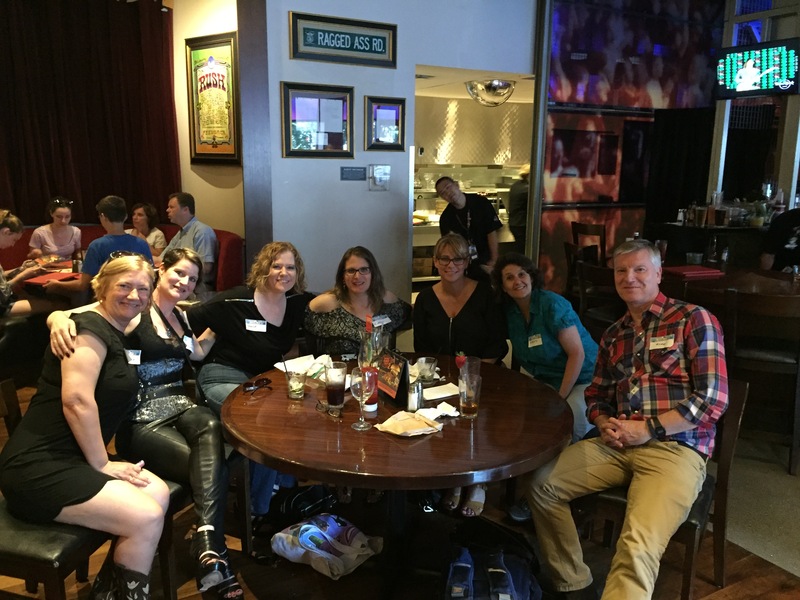 We like bringing fans together to meet, mingle, laugh, squee and share in the excitement. Fandom is all about friendships and this is where friendships can truly begin. Plus, the increase in excitement is sent back to the band during the show, often creating a better show for all! It is a win-win. As much as we have loved the meet ups in the past, we think we can improve upon them, make them better, make them for fun. So, if dreams are free, then here is our dream, our vision of what the meet ups could be like! In some cases, we have been able to do some of these things for one or two meet ups or for the convention, but not for all. That’s what we want. Music and/or Videos of Duran Duran. Of course, right? That is a given. The venue we host at must be willing and/or able to play/show Duran stuff. Duran themed drink specials! We were able to do some drink specials at the meet up in Durham in 2012. Some of which people are still asking about. Anyone remember the specific ingredients for the Stolen Leopard drink? We were also able to do it for the convention. While Rhonda and I love our vodka tonics, we are good with trying new drinks, especially if Duran inspired! Icebreakers of some sort. I hate the word “icebreaker” but we want to make sure that people are able to get to meet each other and get to know each other in a fun, low stress sort of way. I, generally, hate these kinds of things so if I would think it is fun, maybe, you all will, too! For the Hollywood Bowl show, we planned the meet up for before the VIP reception. We would definitely still do that so that everyone could attend. Of course, if someone wanted us just do the VIP party at our meet up location or vice versa, I’m sure we could find a way! We are creative! Another fun idea we had is for raffles at the meet ups. Wouldn’t it be cool to win some cool Duran merchandise or to win some Duran related experience of some sort, for example? It would also be good to get a little gift for attending, too, right? Now, if Rhonda and I would just figure out a way to buy these items…maybe we need to start playing the lottery?! Of course, in an ideal world and that is what I’m talking about here, there would be other activities that we would be able to coordinate for more than just one or two shows per tour. What are some of those other activities? Hotel Room Blocks! Whenever I have stayed at a hotel with a lot of other Duranies, it is super fun! It is easy to meet up with people and the partying can go on until the early morning hours in someone’s room. Plus, with enough people, perhaps, group rates could apply! Party Buses! We have reserved some party buses in Atlanta in 2012 and for the convention in 2013. In both cases, they were super fun and made getting to and from a venue so much easier! Besides, who doesn’t like being in a large vehicle with someone driving YOU and others like you?! The party then travels with you!! 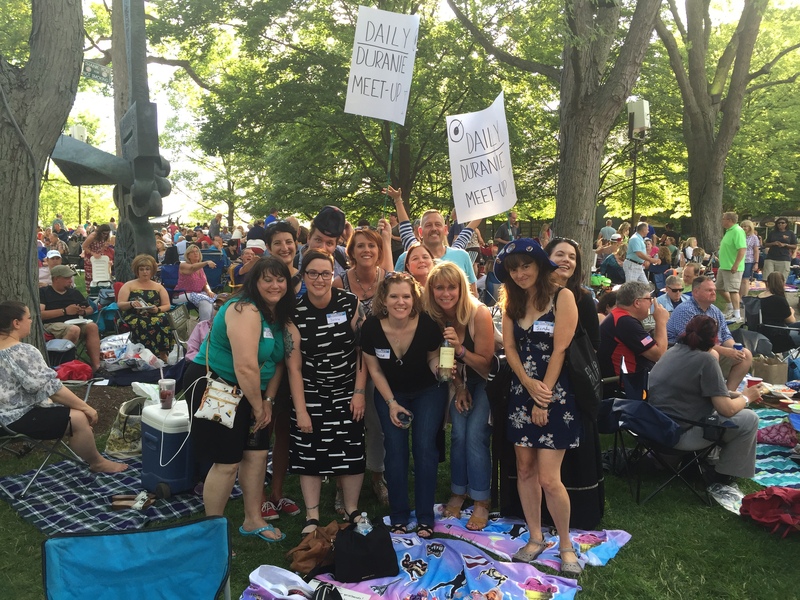 If we were to continue in our ideal vision for meet ups, I might mention our desire for seats on the Duran Duran plane or being sponsored by a favorite brand of vodka. I might also suggest getting some advanced notice so that Rhonda and I could start organizing. Heck, we would even take a rough outline like having the months and cities in order to have starting points!! If the band is thinking about 2016, I might point out that the best times for us would be either March 19th to March 28th or between June 11th and August 21st. In all seriousness, we would love to do a lot/most/all of this for our fan community. We want to get people excited to meet each other and get excited for the show! We figure the better the experiences we all have, the more likely it is that we will do more shows, right? I know that it is the case for me! More fun equals more shows. It is a simple equation! I have been thinking a lot about creation lately. No, I’m not talking about creation vs. evolution but about how people go about creating something. Obviously, I have thought about the band creating the album or my mom creating a new fiber art piece. 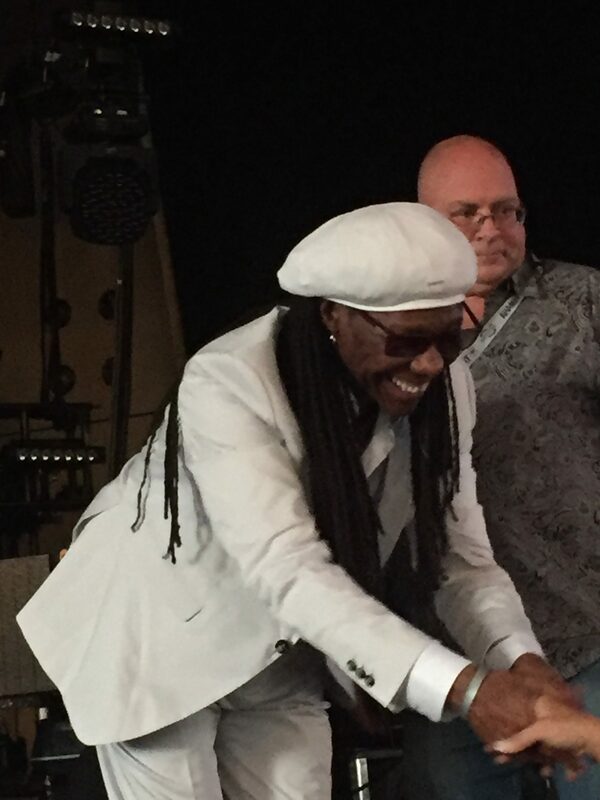 I have even been thinking about how Rhonda and I created this…whatever…you want to call it. (Blog seems too simple, doesn’t it?!) In the midst of my thinking, I discovered that sometimes, most of the times, the artist doesn’t really know what is going to be created before it has been worked on for quite some time. I admit that I feel that way about this…company, partnership, blog, whatever. 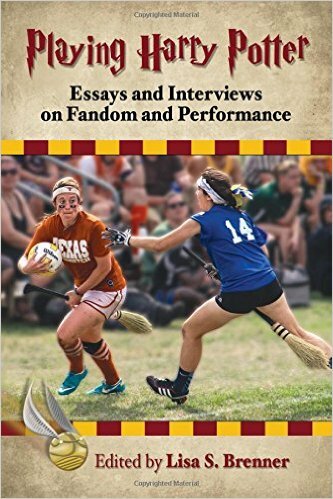 When we started, our focus was simply to help us write our book on fandom. It was an attempt to not only observe fandom in action but to also write about it, to put ideas/reactions/thoughts into words in an informal setting. Initially, that seemed like a good goal. Very quickly, though, we realized that we were doing a lot more than observing and reacting. We were taking part, creating action. What action were we creating or focusing upon? I didn’t know for a long time. Both Rhonda and myself could see that there were problems or areas of our fandom that could be improved. We felt very strongly that we weren’t going to just complain but to offer solutions. One area that we thought could use some improvement was the lack of community feeling–many fans were completely isolated. Others had just a friend or two or, maybe, a small group. Yet, there wasn’t enough intermingling. There wasn’t a strong community spirit. At times, a Duranie community feeling would pop up, but not enough to be sustained. Why does that matter? Simple. The more community feeling, the better the experiences for fans. Fans are far happier when they are hanging with other fans. This translates to staying in the fandom longer and even bringing in new people. Therefore, Rhonda and I brainstormed and continue to brainstorm means of creating greater community feeling. We have attempted to reach this in a variety of ways, including blog posts, through social media and through in person activities. In addition to planning and holding a fan convention, we also have held numerous meet ups, mostly around tours! Our planned meet ups have happened in a lot of different places from London, England, to Hollywood, California, and everywhere in between, including Chicago, Durham, Atlanta and more. We have found that at each and every meet up, the fans who show up have a great time meeting other fans or seeing other fans whom they haven’t seen in a long time. 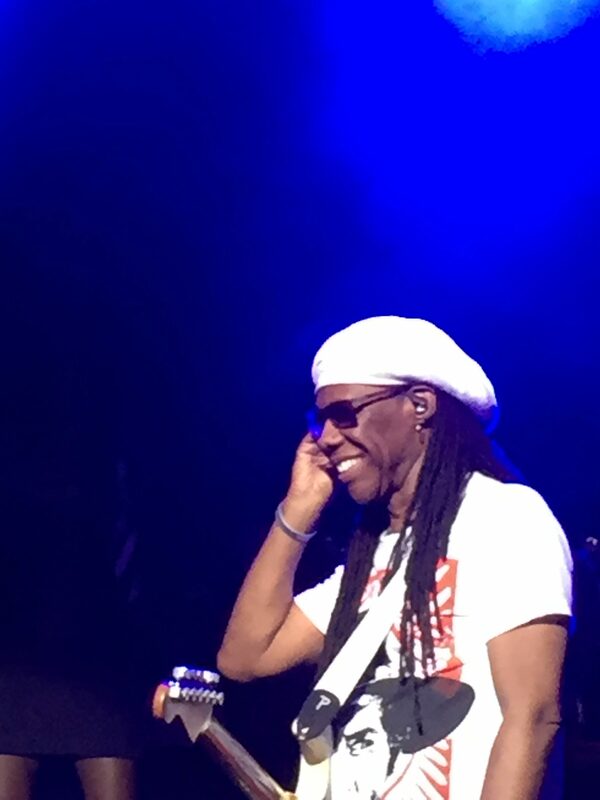 Usually, lots of stories are shared as well as conversation, such as what songs people hope that the band plays at the show. There is almost always discussion about where people are sitting in the hopes of sitting near new friends and connections! In almost every case I can think of, these meet ups do more than just facilitate new connections and friendships but they get people super excited for the show, which translates to more energy at the show, which the band can feed off of. It is a win-win! Over these last 5 years, we have begun to notice a bit of a pattern. We have had more and more requests for meet ups. What do I mean by that? I’ll explain with a few examples. For this last tour, people contacted us and asked if we were having meet ups in _________________ (insert various city here). Even after this mini-tour, we have been asked questions like, “When Duran tours in ________________ (insert another city) in 2016, will you be holding a meet up then? I really want to go to one of your meet ups!” Obviously, we are flattered by these requests. More importantly, to us, though, is the confirmation that people actually enjoy and look forward to them! 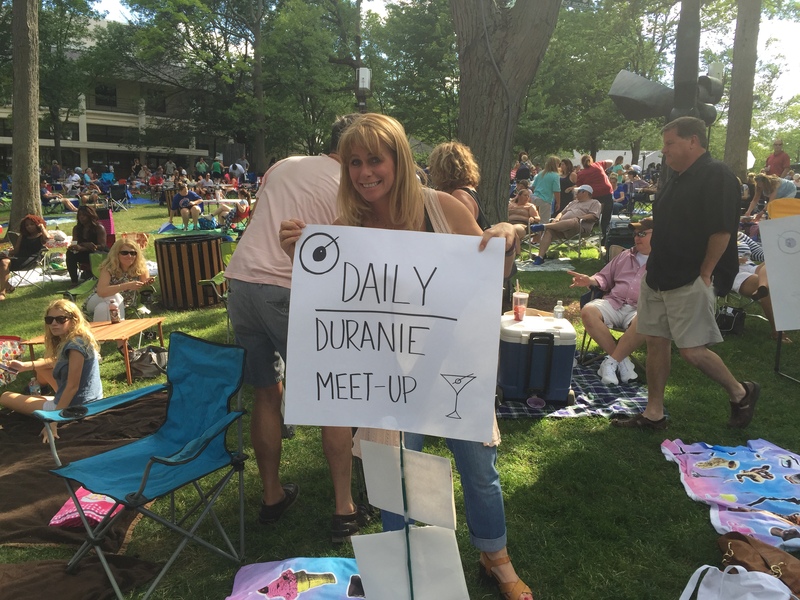 When we probe these requests further, people always tell us that they really want to meet other Duranies. This tells us that community matters. It matters to Duranies and it is something that we all want. We are happy if our meet ups give this to other fans. We certainly have benefitted ourselves by meeting LOTS of great fans this way! What does this mean for the future? Simple. It means that we will do as many meet ups as we can. Obviously, they take time and effort to set up, to let people know, etc., but we definitely see that people enjoy them and that they get something from attending. Once we know tour dates (assuming that there will be more), we will try to get meet ups scheduled for the show(s) we are able to do. So, watch this space!